When I previously wrote a blog about the Mind/Body Connection, I talked about how the subconscious mind is responsible for much of the body’s processes and we can influence the body, both positively or negatively, with our thoughts. Neuroscience is at the very forefront of medical science and we are continuously being stunned at how powerful the mind is for everything that we do and experience. A report available in the US Library of Medicine National Institutes of Health (published in 2006) claims that while only a recent phenomenon, research has shifted to studying the mind/body connection effects in medicine and has become a much more mainstream and accepted view of healing the body. Although the understanding that emotions affect physical health dates as far back as the second-century physician Galen and the medieval physician and philosopher Moses Maimonides, modern medicine has largely continued to treat the mind and body as two separate entities. In the past 30 years, however, research into the link between health and emotions, behaviour, social and economic status and personality has moved both research and treatment from the fringe of biomedical science into the mainstream. That being said, most of the medical techniques still used today were developed when the body was being treated separately from the mind. It’s really still only “holistic medicine” that has developed a radically different approach to treatment. Modern medicine that employs either invasive treatments or that relies on pharmaceutical drugs still has it’s place and can be very effective but perhaps even strictly body-oriented approaches can be enhanced with techniques that focus on the mind. It has been estimated that between 75 - 90% of all visits to the doctor’s office are for stress-related symptoms. Just by reducing stress, the average person can greatly improve their health and well-being. This probably comes as no big surprise. But what could be surprising is how the mind can actually be used to help heal the body from illnesses in ways that traditional medicine can not. Traditional medicine excels at treating acute illness. Acute conditions are severe and come on suddenly, like a broken bone or appendicitis. Most visits to the ER deal with these kind of medical problems. Where traditional medicine struggles is with chronic conditions. A chronic condition, by contrast is a long-developing syndrome, such as osteoporosis, diabetes or asthma. In most cases chronic conditions are managed, usually with prescription drugs, rather than cured. There have been other studies that showed that hypnosis could speed up the healing of bone fractures, help relieve chronic neck pain, improve chronic and severe asthma symptoms, and 2 meta-analyses even found that hypnosis could effectively control cancer symptoms. It’s clear that when more studies are conducted and the research money is spent, many more effective treatments will be found. As healthcare costs are spiraling out of control, anything that helps to speed up healing and cut costs will be valuable to the medical community. One study on the effects of hypnosis on breast cancer biopsy surgery found that patients experienced 53% less pain, 74% less nausea, 46% less fatique, and 74% less emotional upset from the surgery. The benefits to the hospital included: less drugs needed, less analgesia needed, shorter surgery time, and an average cost savings of $772 per patient! All this from one single hypnosis session before the surgery. Imagine the benefits for other types of medical procedures and surgery, or if included to heal other illnesses that require hospital stays. Self-hypnosis for pain management instead of dangerously addictive opioids is also being proposed by a Stanford researcher. We are just beginning to scrape the surface in terms of the possibilities of using the mind to treat the body. Hypnosis and hypnotherapy are already showing huge benefits for medical support and allowing the body to heal itself. In the meantime it’s important to fund research that will help convince the people in charge of our institutions that hypnotherapy should be covered by medical insurance and included in employers’ health-plans to manage stress and provide greater well-being. With every new client I always do a quick exercise in the first session that's meant to demonstrate the "power of the subconscious mind". I hand the client a small pendulum, the kind you can find in New Age shops with a stone or crystal at the end, and tell them to hold it up in front of them, at eye level. Then I say "Without consciously moving the pendulum with your hand, just look at the pendulum and imagine it swinging back and forth...just like a clock pendulum. See a clock pendulum in your mind's eye....like a grandfather clock...swinging back and forth". And then invariably, within a few seconds, the pendulum will start swinging back and forth. Then I ask the client to imagine it changing direction and going in a circle. And then usually it will start shifting almost immediately and go into a circle. After the demo the client is generally stunned, and will say something like "Did I do that?" or "That's so weird!". Then I say, 'Yes, you did that. Or rather your subconscious mind did it for you.' This is because the subconscious mind controls certain muscles in the body: the heartbeat, breathing, reflex motor response, and tiny imperceptible muscle movements called 'micro-muscle movements'. The swinging of the pendulum is created by those micro-muscle movements, which are controlled not by the conscious mind, but the subconscious mind. This quick exercise is a great way to demonstrate the mind/body connection. But it also demonstrates hypnosis. When the person is using his/her imagination to visualize the clock pendulum and is causing the actual pendulum to start swinging this is actually an altered state. It's trance, a form of hypnosis. The client's eyes are still open but they are experiencing relaxed, focused, concentration. That's all hypnosis is. Just like meditation, the brainwaves slow down and the person experiences some relaxation in the body while, simultaneously, they are able to focus and concentrate more easily. When a person has their eyes closed, the hypnotic trance can be even easier, and deeper. So why is this even important to someone other than a hypnosis geek like me? Because most emotions and issues have a corresponding feeling in the body. Stress can cause headaches, digestive issues, sexual dysfunction...just to mention the tip of the iceberg. 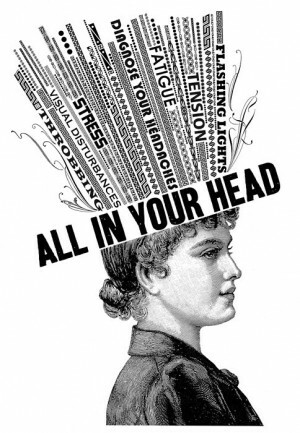 But many issues are not necessarily caused by accumulated stress in the mind/body. Insomnia for example might be caused by an emotional block in the subconscious mind that was formed in childhood by a negative event (trauma) that is getting triggered again in adulthood. Anxiety triggered by public speaking might be a symptom of a limiting belief created in elementary school. In fact, most "blocks" are formed in childhood, before age 8. This is because the critical factor (the gatekeeper between the conscious mind and the subconscious mind) has not yet formed in early childhood, making young children more vulnerable to negative events that can leave a lasting impression. Hypnotherapy is, in effect, about healing these blocks, or limiting beliefs, and replacing them with more positive beliefs. One of the techniques available to hypnotherapists is to use regression to trace the issue back to the source. We are in fact going back to the memory of the negative event/trauma that created the block. One of the best ways to locate that memory is to use the body. The client's problem creates an emotion, a negative emotion, or else they wouldn't be coming to me to get help. We can locate that negative emotion in the body....maybe it's a feeling of a knot in the stomach....or tightness in the chest...or perhaps a feeling of heaviness in the heart. We use the body to go back in time to when they first had that feeling. The subconscious mind will remember when that feeling was first felt and bingo!...that's the "initial sensitizing event", when the block was formed. Then the hypnotherapist can do a trauma reversal on the memory to help heal the block. The great thing about hypnosis is that the mind/body connection goes both ways. When a person goes into hypnosis they experience the healing effects of being in parasympathetic mode. This is the opposite of the stress response, when the nervous system is in 'fight or flight' mode. Parasympathetic mode is naturally healing to the body and to the mind. Because when the body is relaxing, so does the mind, and vice versa. 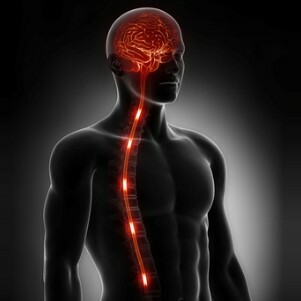 Parasympathetic mode allows the body processes to function more optimally. Digestion, metabolism, the immune system, blood pressure, and the body's hormone levels are regulated to healthy levels. Just going into hypnosis not only helps with stress levels, but it's actually healing to the body as well. That's why I teach many of my clients self-hypnosis to manage stress and to allow their bodies to heal more efficiently. As more and more studies emerge about the effectiveness of hypnotherapy for medical issues, we shouldn't be surprised. Modern science now recognizes the mind/body connection. Now it's up to the medical establishment to see the full potential for hypnosis to heal the body as well as the mind. Pain equals suffering and suffering equals pain. Right? Actually no. They are different and one does not necessarily need to follow the other. Pain is a physical response to a stimulus. Suffering is emotional. We need to experience pain in certain situations in order to be safe. If there was no pain response we could burn ourselves and not even notice it. Or we might not be cautious when playing rough sports. Pain is important feedback for our health. Suffering on the other hand may linger after the physical pain has died away, because, like many emotions, it can be habit forming. When we expect to suffer we tend to help those expectations come true. Suffering is the emotional pain caused by the resistance to what is. Sometimes we suffer because we don't accept our situation. Sometimes when we get sick we fall into self-pity mode and think "why me?" And that very attitude can cause us to neglect doing the things that would help us to get better. In those situations we're not only resisting 'what is' but we're actually making things worse. One of the more impressive things that happened when I was at hypnotherapy school was when the class watched a video of a patient undergoing major leg surgery (with a bone saw and everything) with no anesthesia except for hypnosis. I felt like I was in more discomfort just watching the video than the patient. A close second was a video that our instructor shot of himself getting a crown replaced at the dentist. He doesn't like Novocaine so he instead used self-hypnosis to put himself into a comfortable trance where the dentist could do the procedure and he was awake and conscious, just feeling no pain. I'm not sure that I would attempt that but he was well practiced enough with self-hypnosis that he was completely confident that it would be successful. Of course he had also instructed the dentist that if he put his hand up it meant that he was feeling pain and would receive the Novocaine. He never raised his hand. The conscious mind can only focus on one thought at a time so hypnotherapy can direct the client to empty his mind of the experience of pain by filling it instead with pleasurable thoughts. A person with a broken limb might visualize that they are on a beach in Hawaii and focus instead on the warm sun on their face, the cool breeze, the relaxing sounds of the ocean, and the feel of the fine sand next to their plush beach blanket. The hypnosis practitioner could either anchor that comfortable feeling so that it can summoned up whenever the client touches their thumb and forefinger together, or teach the client self-hypnosis so they can go back to Hawaii whenever they want. They might also record a self-hypnosis CD or audio file for the client to listen to as they are falling asleep at night, with added suggestions for a comfortable night's sleep! These are just some examples of how hypnosis can be used for pain management. But all of us have the ability to look at pain and suffering in a different way.